Many well-meaning people believe that declawing is an easy and relatively harmless way to fix their cat’s habit of scratching furniture. Unfortunately, this belief can lead to a lifetime of pain and trauma for the cats who undergo declawing procedures. Today, the act of declawing is widely considered to be inhumane and has already been banned in more than 20 countries around the world, except for rare medically necessary cases–an inoperable injury or cancerous tumors, for instance. 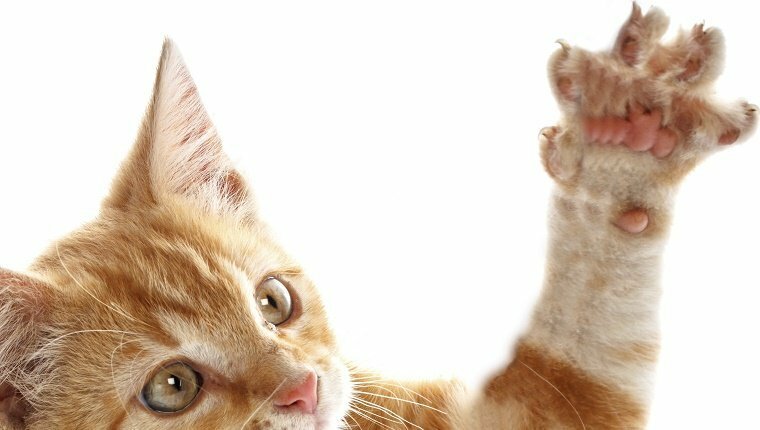 Here’s an explanation of what declawing is, why it’s harmful, and what you can do as a cat owner instead of declawing. The biggest misconception about declawing is that it’s a procedure that simply removes the cat’s claw. The truth is much more barbaric. Traditionally, declawing a cat requires amputating a bone on each of her toes. There are several ways the declawing procedure can be done, but all of them involve removing bone along with the claw. That’s because, unlike our own fingernails, your cat’s claw grows out of a piece of bone. If that bone isn’t removed her claw will attempt to grow back, which will either reverse the procedure or cause painful problems when it grows back incorrectly. If this procedure were happening to you as a human, it would mean each of your fingers and toes would be cut off at the top knuckle. Ouch! Beyond the pain and trauma associated with amputation, there are several reasons why declawing is harmful to your cat. Many declawed cats experience pain in their paws long after the wounds have healed. Declawed cats may also experience lameness, back pain, and necrosis of the tissues in their paws. Since your cat’s paws will be in unsterile areas like her litter box, her wounds will be in danger of becoming infected. Removing the claw and piece of bone changes the way a cat’s foot meets the ground. Many declawed cats have to re-learn how to walk after the procedure. The new way of walking can also cause bone spurs and nerve damage. Many veterinarians suggest trading traditional litter for shredded newspaper while the wounds heal because it’s less irritating. The unfamiliar newspaper shreds mixed with the pain she’ll experience when she scratches to cover her urine may cause her to associate the unpleasantness and pain with the litter box and avoid using it in the future. Claws are a cat’s first defense against attacks. Without them, many declawed cats resort to biting harder and more often, even during play. Even indoor-only cats find their way outside sometimes. A declawed cat will be at a major disadvantage if she encounters a predatory animal or abusive human. What are some better alternatives? Most declawing happens because it’s a convenience to humans. We all value our furniture and don’t want to see it scratched to bits—but hopefully we can all agree that we value our cat’s health and happiness even more. The good news is that we don’t have to choose. There are plenty of ways to humanely deter furniture scratching. 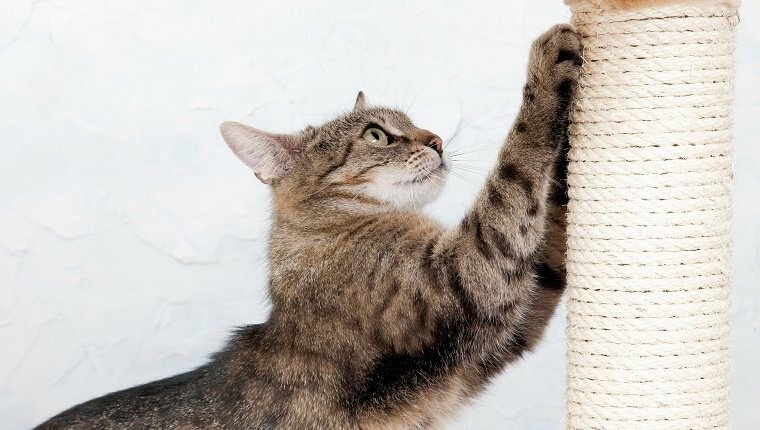 Make sure your home has plenty of scratching posts. 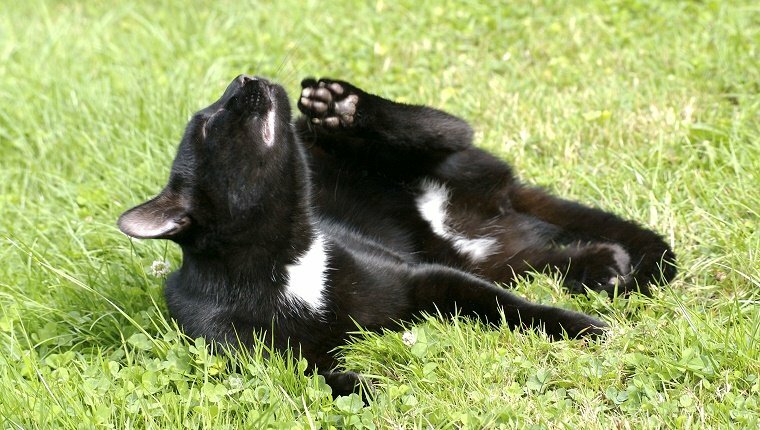 Scratching is a natural and healthy thing for your cat to be doing. It helps her shed the top layer of her claws and gives her a good stretch and flex, and scratching posts will give her a more appropriate place to do it. Scratching posts come in many different textures, materials, and configurations. You may need to try a few kinds before you find one that’s appealing to your cat. Don’t give up! 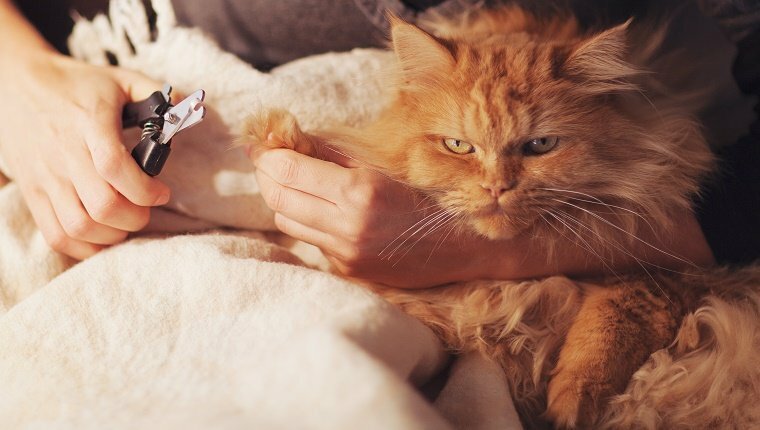 Regularly trimming your cat’s nails can ward off a lot of the damage caused by clawing. Use soft plastic caps on your cat’s nails. These can be applied at home or by a groomer. They may feel awkward to your cat at first, but most cats adjust to them within a day or two. If your cat has been clawing a specific piece of furniture, you can use a tape that has been specifically designed to deter her. She’ll avoid the area once it becomes an uncomfortable and unsatisfying place to scratch. Please pass along this information and share this post on social media so that we can bring an end to declawing. Do you have any tips for reducing scratching that would make a good alternative to declawing? Let us know in the comments below!